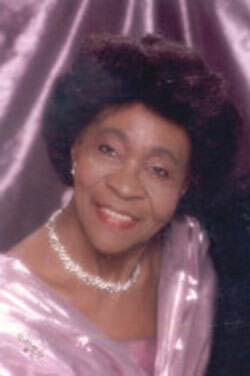 Mother Annie Juanita Duncombe Weech, 87, retired Nurse, First Lady and Exhorter with the Church of God International, Cleveland Tenn., passed away on April 27, 2012. Survived by two daughters, Lynnette Washington and Carol Weech; two grandchildren; Annejeanette and Victor; two great granddaughters: Victoria and Jayda. Wake/Viewing — Friday, May 4, 2012 at Dania Church of God, 715 S.W. Seventh Terr., Dania, Fla. from 6-9 p.m.
Homegoing Services — Saturday, May 5, 2012 at World Harvest Community Church of God, 1601 Lauderdale Manors Dr., Fort Lauderdale, Fla. at 11 a.m. Remains entrusted to Mizell and Kurtz Funeral Home, 1305 NW Sixth St. (Sistrunk Blvd), Fort Lauderdale, Fla., 33311 – (954) 467-3426.